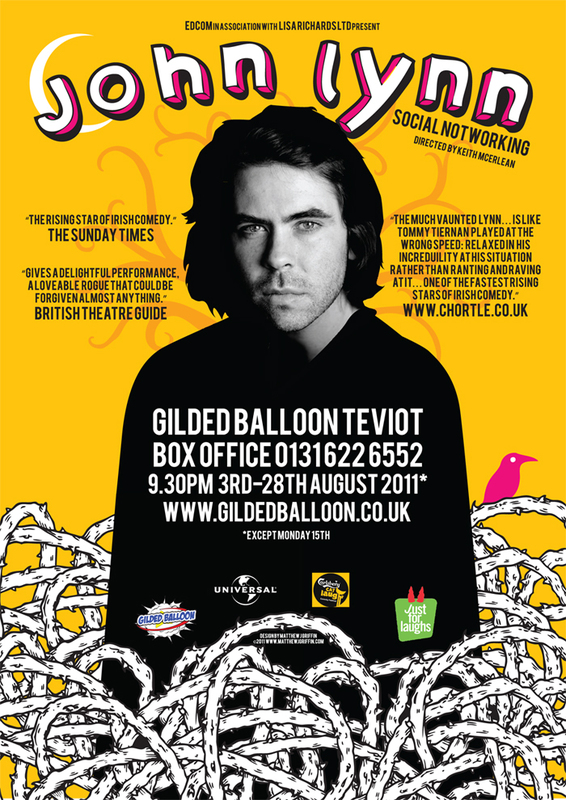 The hotly anticipated Edinburgh Fringe debut from one of Ireland’s leading young comics. Renowned for his masterful delivery and unique storytelling, join John Lynn as he ponders whether our character is defined by who we love? Is isolation rewarding? Was that colonoscopy really necessary? Within mere months of taking the stage for the first time at Dublin’s legendary Comedy Cellar, John had starred on RTE’s Liffey Laughs; then it was on to BBC’s One Night Stand, Kilkenny’s The Cat Laughs and appearing alongside Tommy Tiernan at The Third Policeman’s Ball, celebrating the work of Flann O’Brien. He has performed at the prestigious invite-only Montreal Just For Laughs festival and has just signed a deal with Universal to release his first stand-up DVD. This is the eagerly awaited Edinburgh debut from the sharpest talent on the Irish comedy circuit.